Gecko firmware version 4.1 is now available for download. 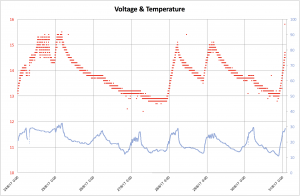 This is a required update for users of IEPE sensors to ensure that the sufficient voltage is provided to the sensor. It also introduces the ability to active a 1Hz+ high pass filter (required for IEPE sensors) which allows you to convert your broadband seismograph to a short period seismograph within the Gecko. 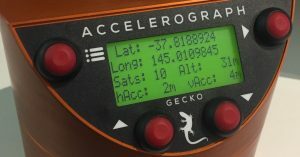 Version 4.0 was a major upgrade to the firmware and user interface, so we suggest you download and read the updated user manual to learn all about the new features of the Gecko operating system. Viewing the recorder status and realtime data was quicker, and there is much more flexibility with channel setup on 3D and 1D sensor inputs. Unused channels can be turned off completely to save storage, and we introduced the ability to store and/or stream the vector sum of the 3D sensor. The home screen now displays which channels are being stored to the SD card, and which are being streamed to a remote PC. The status line on the home screen has been expanded to several screens to see more information at a glance. 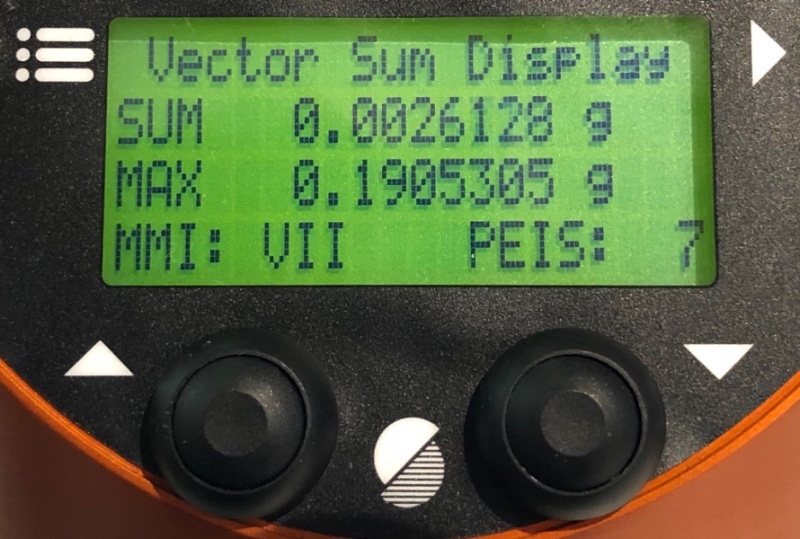 Another useful feature of v4.0 is the ability to customise the sensitivity of each channel according to the sensor supplier’s calibration certificate. The upgrade process is as simple as ever – download the Rasbora.bin upgrade file, copy it onto your Gecko’s SD card, insert the SD into your Gecko and then apply power. As version 4.0 introduces a number of new settings, be sure to check all of your recorder’s settings after the upgrade. We recommended performing this upgrade via SD card, not remotely via Live Stream or eqServer as the “Channels to Send” settings structure may change your telemetry settings. Gecko v3.3 addressed a directory bug in the base code that became more obvious after the file system upgrade in v3.2, which also brought a new realtime vector sum display that holds the highest peak signal until reset. 4-channel recorders with a microphone attached to the 4th channel also show the peak pressure recorded. 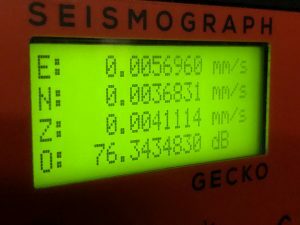 When used as an accelerograph, an estimate of the Modified Mercalli Intensity (MMI) and the equivalent Philippine Earthquake Intensity Scale (PEIS) values are also displayed. The MMI/PEIS estimate is also displayed on the Level trigger setting screen. The updated file system allowed instant mounting of an inserted SD card, and the ability to unmount an SD card without stopping data telemetry. Gecko firmware version 3.1 featured faster access to data with more “right arrow” information lines and more “up arrow” realtime data pages, and introduced support of the 4th channel available on mid-2018 Gecko Compact and Rugged recorders. Other changes included simpler sensor selection, vector peak Level triggering, and improvements to our implementation of MiniSEED data format. To complement the new Gecko firmware, our free waveform analysis software has also been updated with a new component rotation feature and the ability to customise the magnitude estimation formula. Download the latest version of Waves here. 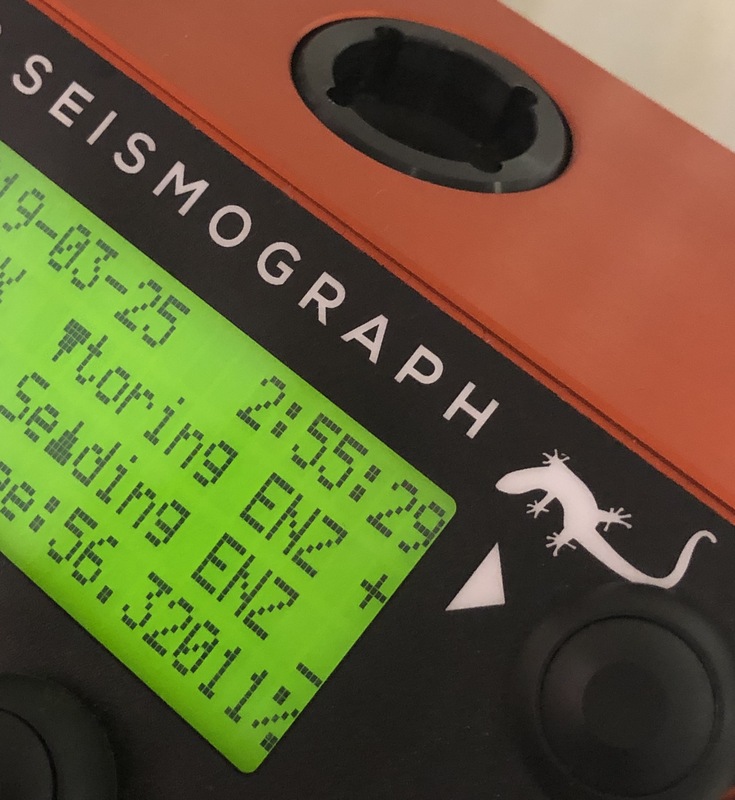 Firmware v2.9 brought improved reliability to remote firmware uploads, addressed a bug where the “Stop Sampling” function had no effect, and fixed incorrect channel labelling in Histogram and Trigger log files. Version 2.8 was a major under-the-hood tune-up of the firmware that addresses a number of bugs and improves telemetry efficiency and MiniSEED data compatibility. Version 2.5 brought improved reliability for the optional Telit 3G modem, while v2.4 introduced many new features discussed below, support for remote firmware upgrades, remote Gecko configuration via the Live Stream app and eqServer, performance improvements and bug fixes. 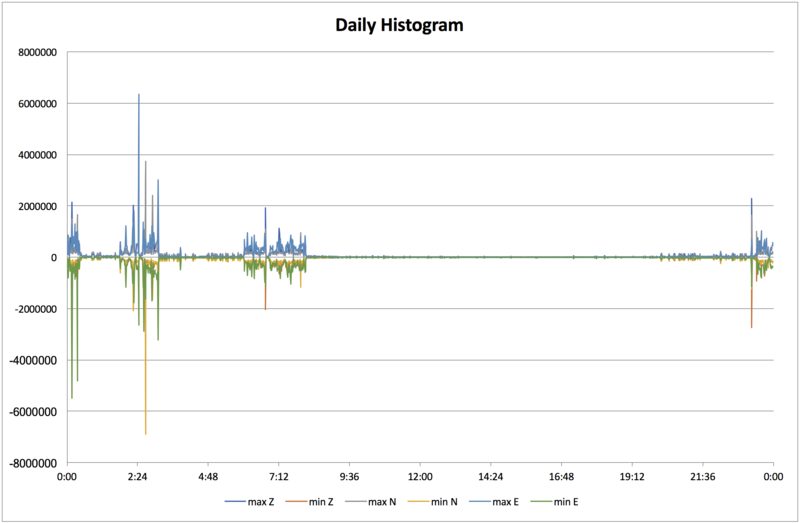 The Histogram feature creates a daily CSV file on the SD card, with data logged every minute. The file can be easily imported into Excel or other graphing packages. The CSV file stores the maximum and minimum signal values for each channel from the previous minute, the supply voltage, internal temperature, latitude, longitude, altitude, horizontal and vertical GPS accuracy, and the clock crystal information. 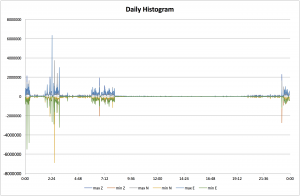 By plotting the peak signal values you can quickly visualise a day of monitoring activity, which is particularly useful for blast monitoring applications. 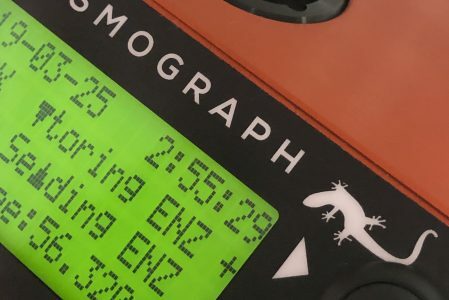 When a Gecko is connected to a computer running Kelunji Hub (included in the free Windows/Linux Live Stream app and on eqServer) via Ethernet connection or cellular modem, in addition to continuous data streaming we now have a “Triggered Only” mode that just sends instantaneous trigger packets, suited to EEW (earthquake early warning) applications. 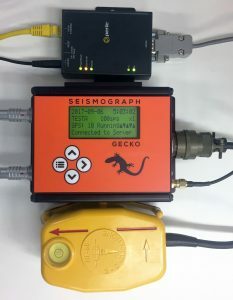 Kelunji Hub can immediately generate an alarm, then request waveform data from the trigger time from all connected Gecko recorders for further analysis. You can now also save your Gecko configuration file and then load that configuration file into another Gecko, which is particularly useful when pre-configuring large numbers of identical instruments for a deployment. Don’t forget to change each station code! 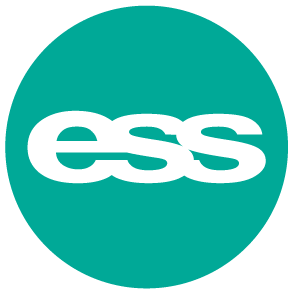 Download the updated user manual from our documentation resource library and get in touch if you have any questions or feedback.